The dense urban sprawl of Hackney, just north of London’s East End, is not an area that one immediately associates with Tudor architecture. Nevertheless, despite its misleading Georgian frontage, that is exactly what Sutton House is. A Grade II-listed building now in the care of the National Trust, this 16th century home has undergone much change in its nearly 500 year history. In the 16th century, Hackney was a settlement well outside of London, separated from the city by miles of rural countryside. 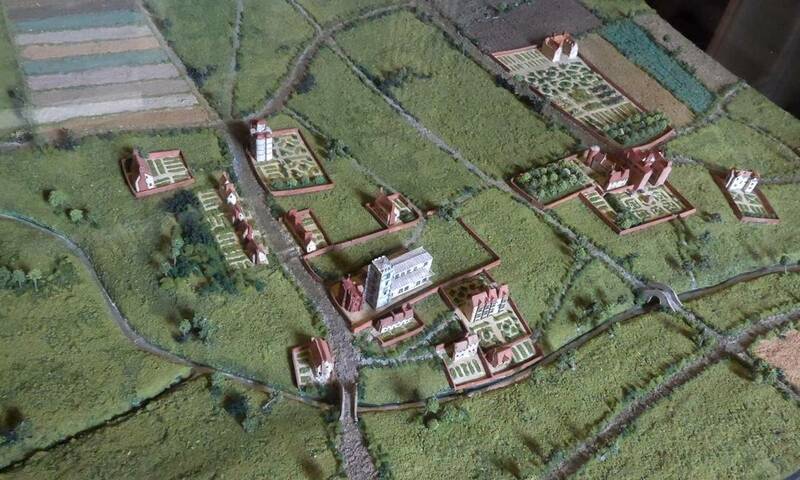 It was here that Sir Ralph Sadleir – a prominent courtier of King Henry VIII – built Sutton House in 1535. It is a rare survival from what historians call the early modern period, and is now the oldest surviving residential building in Hackney. The house underwent significant modification in the 18th century, resulting in the Georgian frontage that now greets passers’ by. In 1751 its owner divided the building into two, deciding to live in one half while renting the other. 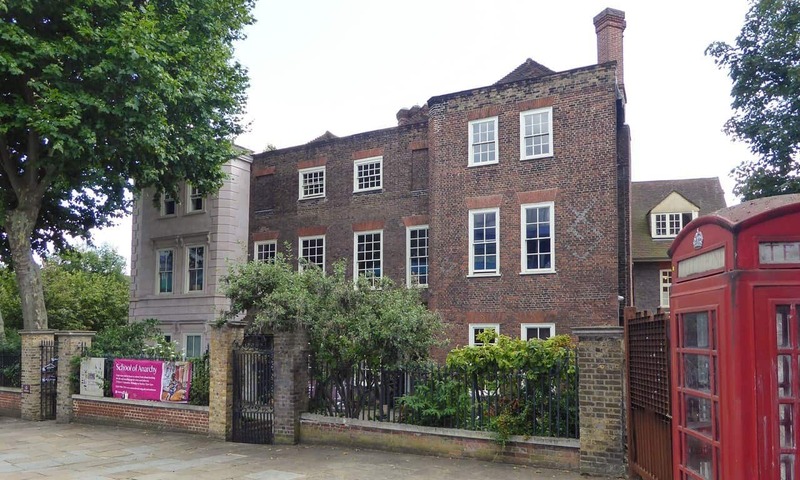 In 1891, the rector of Hackney bought Sutton House and again transformed it, this time from a place of middle-class residence into a social centre for young men. The National Trust took ownership of the building in the 1930s, after which the Civil Defence Service based themselves there during the Second World War. A trade union – the Association of Scientific, Technical and Managerial Staffs – rented it as their premises from the 1960s through the early 1980s. At that point it was derelict and in 1985 squatters moved in, naming it the Blue House and hosting rock gigs there. Today, several murals produced in this period remain on display in one of the rooms. After the eviction of the squatters, concerned locals launched a Save Sutton House Campaign in 1987. Following the completion of renovations, the Trust opened the building as a tourist attraction in 1994. I visited with a friend on a summertime Sunday afternoon, at which point we had the house almost entirely to ourselves. Judging from various online comments, the sparsity of visitors seems to be a regular occurrence. Getting there by public transport proved easy, with the house being only a five-to-ten minute walk from Hackney Central station, passing by St Augustine’s Tower en route. Unfortunately, the route is not well signposted, so prior planning is advised. After paying a (fairly reasonable) entry fee, we were left to explore the house at our own convenience. A particularly helpful and enthusiastic room guide gave us the lowdown on the development of several of the rooms. Of note is the dark, engraved wood panelling in the Linenfold Parlour and an elaborately decorated cupboard in the Little Chamber. Despite these few gems, there is little original furniture in the building, with some of the rooms feeling particularly spartan. Temporary exhibits fill some of these empty spaces. When we visited, these focused on issues of sexual and gender diversity as part of the National Trust’s “Prejudice and Pride” season. Although the apparent absence of any discernible LGBT history at the house left this a little incongruous, a range of LGBT community events now take place in the building, a reflection of its ever-changing uses. Rather than focus only on the earliest facets of the house’s history, the Trust have ensured that a wider array of its past is on display. Different rooms are therefore decorated in keeping with the fashions of different centuries. 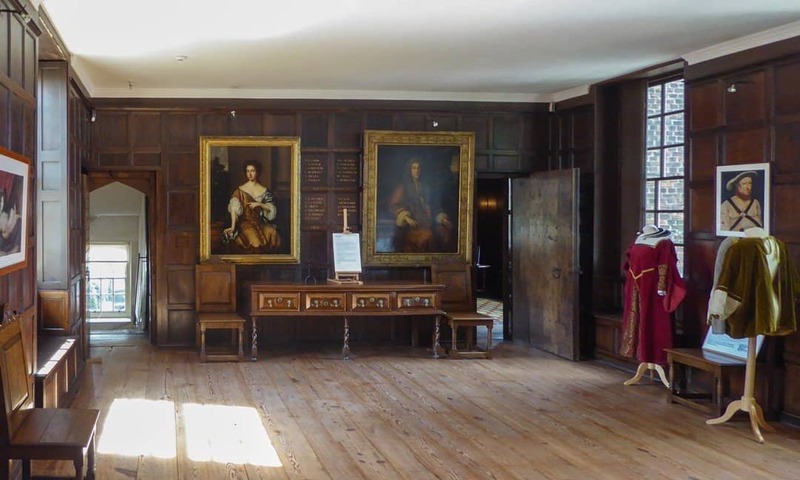 The Great Chamber for example is fitted out to represent the 16th century, while the adjacent study represents the 19th and a downstairs parlour room reflects 18th century tastes. Attempts had clearly been made to cultivate a more interactive environment, one particularly ideal for visitors with children. 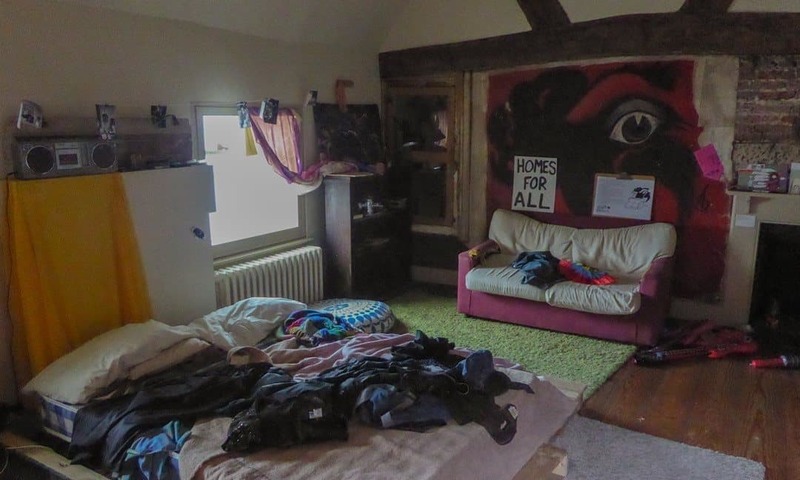 The Trust has for instance decked out an attic room as a 1980s squatter’s bedroom, replete with a punk wig, inflatable pink guitars, and other items left for visitors to play with. This was a nice touch and a welcome change from the ‘do not touch’ signs so prevalent in other heritage properties. In all, we spent approximately two hours in the building, although one could spend longer if they decided to visit the small café and gift shop, a near ubiquitous presence in National Trust properties. 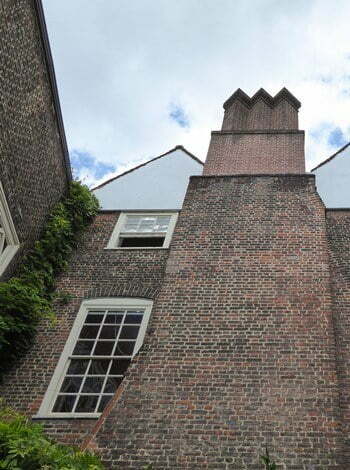 London is awash with archaeological and historic sites and it would be unjustified to rate Sutton House as a ‘must see’ alongside Tower Bridge or the Museum of London. It just isn’t in the same league. That being said, for those who have seen the big-name tourist draws and are looking for something a little more out-of-the-way, it could be a good option. While those seeking visually spectacular or particularly quirky sites might be disappointed, those with an interest in early modern architecture or the history of East London should find it a rewarding visit. In an ever-changing city, Sutton House helps to provide snapshots of life in bygone times, whether those be the 16th century or the 1980s. At the beginning of the 19th century Sutton House was a boys school. In 1818 Edward George Earle Lytton Bulwer-Lytton, 1st Baron Lytton PC attended. Bulwer-Lytton was a popular English writer who coined many familiar phrases, such as: “the great unwashed” and “the pen is mightier than the sword”, as well as the well-known opening sentence “It was a dark and stormy night”. 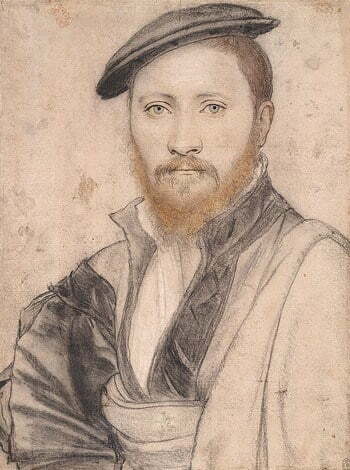 A possible portrait of Sir Ralph Sadler by Hans Holbein the Younger, in the Royal Collection. NextWhat’s Left of the Romans in Otranto?